At Object Design Studio we love color. We cherish those fleeting moments that we are totally aware and utterly in awe of the colors that nature offers us. On a recent production trip to visit our rattan supplier in Northern Thailand, I was riding a motorcycle en-route to the workshop when the small dirt road dipped down and turned and I suddenly found myself surrounded on all sides by an ocean of deeply saturated green rice fields. I was overcome with a sense of gratitude and calm, and I felt truly honored to be there. For a moment, it was as if everything was exactly as it should be. I conceived the first generation design for our “Waiya” lamps a few years back while acting as Art and Design Consultant for YaiYa Resort in Hua Hin, Thailand. The Hotel was designed by renowned Thai architect Krisda Rochanakorn, owner and principal architect at Habita Architects, Bangkok. The underlying concept of the resort was to create clean-lined modern structures whilst making respectful references to the traditional proportions and architecture of Southeast Asia. 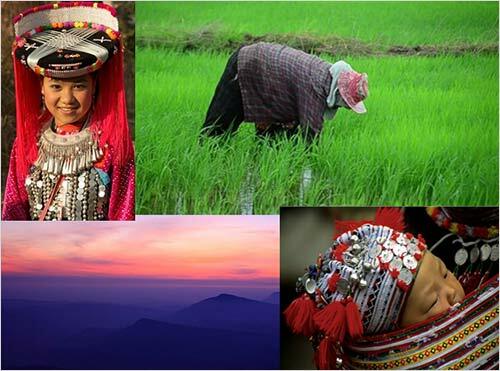 Therefore, when designing the feature items for the resort, I turned to traditional indigenous materials and reinvented and re-contextualized traditional forms and objects of Thailand’s rich cultural past. Our “Waiya” hanging lamps are constructed of rattan, or in the Thai language “wai”, by artisan craftsmen in rural Northern Thailand. Over the past several months I have worked closely with these craftsmen in their workshops to refine the design and perfect the methodology of crafting this timeless hanging lamp. 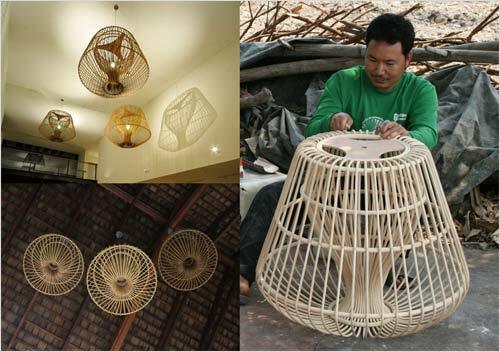 We have combined contemporary design techniques with age old rattan forming techniques to achieve a beautifully balanced lamp that is precisely crafted yet has very clearly been made by hand. As Object Designers we spend most of our days working with monochrome materials intently focused on form and function. We absolutely love this world of light and shadow, but we do get starved of color from time to time. Luckily we know just where to go to get our fix! If you’re craving color, do yourself a favor and visit the vibrant and magical world created and inhabited by our dear friends at Sisters Gulassa. Taking a trip into the world of Sisters Gulassa is like crawling through Alice’s little door and finding yourself on the other side whirling about in a fabulously vivid fantasy land full of colorful mystique and wonder. 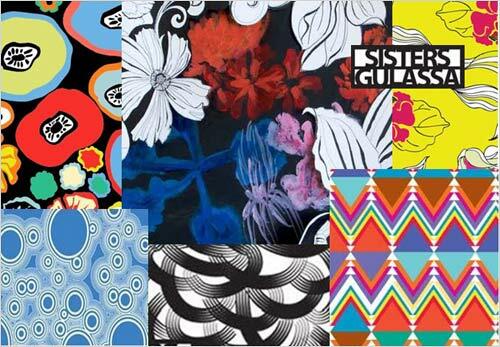 Sisters Gulasssa are accomplished visual artists and designers that bring intoxicating color and masterful visual texture to fabrics, wallpaper, textiles, you name it! Below are just a few of their admiring clients. To crawl through Alice’s little door and enter the colorful world of Sisters Gulassa click below! That’s all for now! We hope you’ve enjoyed taking a look at what we’ve been up to. Stay tuned for more updates and exciting new design products from Object Design Studio.